Pope Francis of Rome recently made a visit to the Ecumenical Patriarchate and made a grand gesture of asking for the blessing of the Ecumenical Patriarch on himself and his church. So once again we are treated to all sorts of commentary from both the “left” and the “right” on the supposed imminent reunion with Rome, bolstered especially by words from the Ecumenical Patriarch regarding Orthodoxy and Rome being “sister churches,” that the Church is “divided,” etc.—words which, if taken as precise dogmatic statements, would seem to be contrary to Orthodox tradition, which sees the Church as undivided and uniquely identical with the Orthodox Church. And of course, while his gestures are not so grand as those of the Jesuit Pope, Ecumenical Patriarch Bartholomew also does some things which bring happy tears to unionists and boil the blood of those who oppose even dialogue with Rome. The holy 1st Ecumenical Synod drafted – dear brethren – the first Symbol of the Faith, which was later completed by the holy 2nd Ecumenical Synod of Constantinople in 381, with its five last articles. Both these holy Synods served the most sacred and loftiest purpose in the lives of Christians, which was none other than the unity, the concordance and the peace of the Church. Through their dogmatic ruling, which is succinctly crystalized in the sacred Symbol, they outlined the “basics” of the Orthodox belief, every transgression of which places those who dare, outside the corpus of the Church. At the Fanarion, in the old conference hall of our Holy and Sacred Synod of the Ecumenical Patriarchate, among other depicted themes is artistically inscribed on its four walls the Creed of Nicea-Constantinople, which clearly denotes – in the likeness of a fiery circle – those sacred “basics”, which no-one can possibly ignore or overstep. It only took (much later on) the addition to the Symbol of one and only word: the familiar “Filioque”, to create new cacodoxies and schisms and heresies, which, to this day holds Western Christianity a long way away from the Orthodox East. “On the whole, the dialogue may appear at a loss. Divine Grace however attracts to the truth those who are participating in it. Is it not worth a dialogue, even if only one soul approaches towards the truth?” asked Bartholomew. Assuredly our problem is neither geographical nor one of personal alienation. Neither is it a problem of organizational structures, nor jurisdictional arrangements. Neither is it a problem of external submission, nor absorption of individuals and groups. It is something deeper and more substantive. The manner in which we exist has become ontologically different. Unless our ontological transfiguration and transformation toward one common model of life is achieved, not only in form but also in substance, unity and its accompanying realization become impossible. No one ignores the fact that the model for all of us is the person of the Theanthropos (God-Man) Jesus Christ. But which model? No one ignores the fact that the incorporation in Him is achieved within His body, the Church. But whose church? Because of the varying responses to these basic questions, we marched on divergent courses. This is easily understood and unavoidable. For whether we comprehend this or not, our existence is ontologically shaped in symphony and harmony with our inner self. According to the description of our Lord, in Matthew 15:11, not what goes into the mouth defiles a man, but what comes out of the mouth. Patriarch Bartholomew said among other things that he neither betrays Orthodoxy, nor does he pursue ecumenist ideas, as it has been said. “With this tactic (the dialogue) we are not betraying Orthodoxy, as we have been accused, nor do we support ecumenist perceptions; rather, we preach to the heterodox and to everyone the Orthodox truth”, he stated characteristically. The Ecumenical Patriarch made an extensive reference to the reactions that exist on the matter of the theological dialogue, both in Bulgaria and in other countries, noting that these actions aspire to a mutual understanding and in time acceptance, “by the heterodox of the one Orthodox faith”. “They (the dialogues) do not aspire – as was written in both Bulgaria and elsewhere – to the creation of one, mutually accepted ‘aggregate’ of beliefs. That is, there is no attempt through this so-called ecumenical movement to attain the acceptance of one ‘Christian syncretistic confession’; only a deeper penetration into the Christian Orthodox faith and the communal collaboration of all those who invoke the name of Christ”, stressed Patriarch Bartholomew. In regards to the discussions and dialogues between all the Orthodox Churches and the heterodox, they have as an ultimate purpose the fulfillment of the will and command of the Lord: ‘That all may be one’ (Jn. 17:21). Now they contribute towards societal cooperation and the witness of the truth, and these are aimed at mutual understanding and for the acceptance in time by the heterodox of the one Orthodox faith. We do not aim, as it is written in Bulgaria and elsewhere, towards the creation of a commonly acceptable ‘conglomeration’ of beliefs. That is, we are not pursuing through the so-called ecumenical movement the acceptance of a ‘Christian syncretistic confession’, but a deepening in the Orthodox Christian faith and in societal cooperation with those who invoke the name of Christ. Naturally, we do not fear, as Orthodox, who have the fullness of truth, that we will be affected by the views of our heterodox brethren on doctrinal issues. We are simply following the long held ecclesiastical tradition, encapsulated in the advice of Saint John of the Ladder: ‘In the case of those who malevolently dispute with us, whether unbelievers or heretics, we should desist after we have twice admonished them. But in the case of those who wish to learn the truth let us never grow weary in well-doing. However, we should use both opportunities for the establishment of our own heart’ (Ladder, Step 26:125). 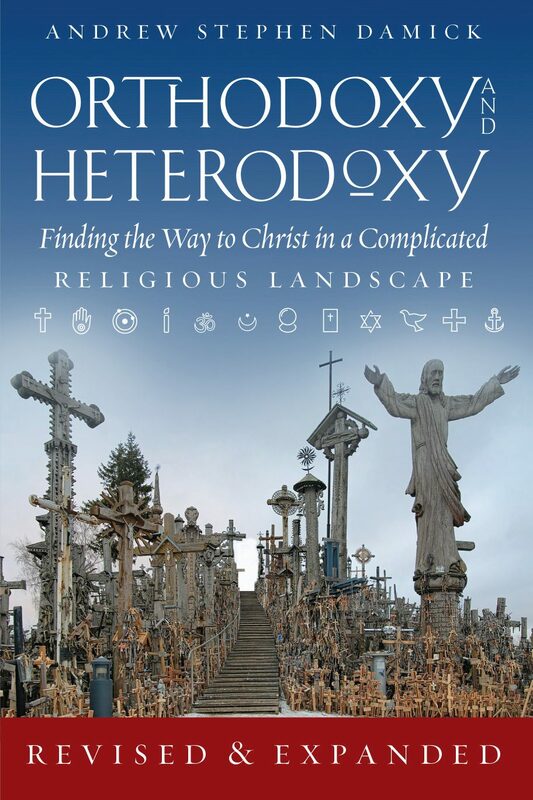 Through this strategy we are not betraying Orthodoxy, as criticized, nor do we support ecumenistic concepts, but we proclaim to the heterodox and to all the truth of Orthodoxy. Speaking at a meeting at the university of Kadir Has in Istanbul, Hurriyet reports, Bartholomew I said he believed ‘there is a possibility for the next generations to see the churches of the East and West reunited’. ‘This will probably not happen during my life’, he added. Yes, there are a lot of things that faithful Orthodox can criticize in the various statements and gestures that the Ecumenical Patriarch has made regarding Rome if they are taken as isolated and absolute, but when it comes to addressing the issue of reunion head-on, not merely offering up diplomatic hints and gestures, His All-Holiness actually sounds pretty uncontroversial. Thank you for that succinct and well-reasoned essay, Father. I’ve been confused by the hostility toward the Patriarch and by the positions attributed to him. I appreciate the clarity and insight! The line between “diplomatic” and “dogmatic” is arbitrary. If Bartholomew and Francis are saying things they don’t believe–Brother in Christ, Sister Church, we must reunite in the name of Christ and full unity of faith, we are learning to love one another, etc.–then they are lying. Their actions don’t make sense. But the far more logical explanation is that they do believe the things they are saying, they aren’t drawing an arbitrary distinction between dogma and diplomacy, and they aren’t being unfaithful to either of those categories as they understand them. The line between “diplomatic” and “dogmatic” is arbitrary. Given that those two words mean quite different things, I can’t say I agree. Context is quite important, especially when it comes to theological language. That said, I think that Pope Francis is likely much readier to make a union happen than the Ecumenical Patriarch. And that is of course in keeping with the official magisterial proclamations of his church. It comes across as though you view double-minded statements and regular and blatant gross violations of the canons to be of little or no consequence. Perhaps you don’t but it seems that way. I think all of these ecumenical overtures are psychological preparation done in a very pragmatic way. Why do we not automatically return to Mysteriological communion? Because it is necessary for us to prepare our peoples for it, both theologically and psychologically. During the nine hundred years that have elapsed since 1054, we, the two worlds of East and West, have come to think that we belong to different Churches and different religions. And, as a result, the purpose of dialogues becomes quite evident. It is to prepare our peoples psychologically to understand that there is one Church and one religion, that we all believe in the same God—the Savior Christ. (from a homily given by the Patriarch in the chapel of Lambeth Palace, London, November 13, 1967, cited in “Patriarch Athenagoras of Constantinople [1886-1972]: His Statements, Messages, and Activities,” Orthodox Tradition, Vol. XVIII, No. 1 , p. 10). Lack of full reunion is no absolute proof of their intentions. Of course, neither is the Pat. Athenagoras quote! My theory is that it’s not really about Union now, it’s seeds planted for the future. It comes across as though you view double-minded statements and regular and blatant gross violations of the canons to be of little or no consequence. No, I don’t. I meant no more than what I said in this post. And whether what the EP has done actually constitutes such things are beyond the scope of this post, as well (how one can tell another is double-minded without clairvoyance is also a bit beyond me). I’ll not have this turn into the usual EP-skewer-fest that some prefer. There are certainly plenty of other places where one can indulge in that. My theory is that it’s not really about Union now, it’s seeds planted for the future. This sounds rather like attempting to bring other Christians into Orthodoxy is somehow a bad thing. We have an enemy: Satan. It’s not our fellow man. Of course, NO ONE is protesting “bringing other Christians to Orthodoxy”. Do you honestly believe that the Orthodox who are against these events are against converting the heterodox? The Union I mentioned above most certainly refers to the false kind. We don’t regularly pray with the heterodox and commemorate heterodox bishops because of the principle of lex orandi, lex credendi. Therefore, when these actions occur quite regularly accompanied by ambiguous statements, then perhaps there are some serious errors in faith involved. Archbishop Averky of Syracuse: For a long time, we have heard that they belong to this movement in order “to witness to the peoples of other confessions the truth of holy Orthodoxy,” but it is difficult for us to believe that this statement is anything more than ‘throwing powder in our eyes.’ That statement sums up how those who protest feel, Fr. No one is against spreading Holy Orthodoxy. My statements are not meant to skewer the EP and likewise if someone takes issue with his actions and statements. I wasn’t addressing a protest movement. I was addressing the comment that you made. It’s not really all that complex. The Apostolic and Ecumenical canons along with the Saints (of the past and contemporary) speak against these actions. I’m even willing to grant that a hierarch can end up in a bad situation at some joint event but these actions are blatant, planned and regulary done. It’s just not orthopraxy (is orthopractical a word?) or Orthodox. These actions have become an occasion for many to stumble and a scandal. Sure, but that’s not what this post is about (though it’s mentioned). It’s about what the Ecumenical Patriarch says when he’s directly addressing the issue of union with Rome. Please stay on-topic when posting, especially when posting inflammatory stuff. Thanks! Father, I appreciate your calling attention to Pat. Bartholomew’s statements and I take your point. I certainly would agree with the perspective taken in these of the Patriarch’s statements, but I believe the questions Maximus raises are important (even if tangential). At a certain point, when someone consistently says one thing (in a certain context), but does another outside of that context, it should become obvious where they stand (even to ordinary observers). I say all this without personally having any settled opinion about what the Patriarch is up to at this time (not feeling called to give undue attention to what is outside the scope of my own purview). What the EP has done has been the subject of writing here, as well. I don’t intend this post to go into all that, but I’ll at least note that the supposed, imminent sharing of communion that we hear is supposed to happen Any Day Now always seems not to happen. That’s an action, too. In any event, since the clergy of the Church are teachers, their words are also quite critical. Remember that most anathemas are reserved precisely for teaching falsehood. I have never said that the EP is above reproach or that I do not have my own criticisms for some of his words and actions. (I am not one of his “defenders,” nor do I even belong to his patriarchate.) But one does not have to search very hard to find criticisms of the EP, so I don’t see what the use would be in adding my own to the pile. He gets tried in the ignorant court of public opinion on nearly an hourly basis. Yet one does have to search quite hard to find anyone actually trying to take a more thorough look at what the dialogues with Rome are actually about. I find that very sad. As for that petition, it has a big list of impressive names attached to it, but what many may not realize is that some of those same names also promote the authenticity of the so-called Protocols of the Elders of Zion and are dedicated to some of the wildest zealot conspiracy theories out there—these are mostly the same sort that belong to the schismatic Old Calendarists, though they haven’t broken communion. It’s not a list I’d want my name beside, even if I agreed with their petition. You’ve resorted to ad hominem, in the best case, if not deliberately misleading people. If you were intent on keeping your site above the muddy waters of “ignorance and dishonesty” you chided earlier in your post, you have failed. Stay on target: the teachings of the Church, our Faith in One, Holy, Catholic and Apostolic Church. This is what is at stake. And, consider and critique THE TEXT, not the signers. Signing petitions is precisely a sort of “reverse” ad hominem in that what supposedly lends a petition weight is who signs it. I wrote what I did because that petition is being touted by some precisely because of the names attached to it—largely in ignorance of who those people are but being impressed, I suppose, by their titles. My point is actually the same as yours: Who cares who signed it? But it’s of course reasonable not to want to pay much attention to people you’ve never wanted to pay much attention to in the past. If Rush Limbaugh or Michael Moore started circulating petitions, I’d fully expect people who don’t care to hear from them not to bother with them now. As for the actual text of the petition, it falls prey to exactly what this post is pointing out—it ignores when the EP actually addresses these topics in a direct, precise way. Why should anyone give time to such dishonesty? Well, I kind of regret doing this, but I’m closing comments on this post, since it seems that no one’s interested in submitting comments that actually have much to do with the post’s content, and I don’t care to spend my day moderating comments. Feel free to rage against the Ecumenical Patriarch elsewhere. O&H isn’t about that.